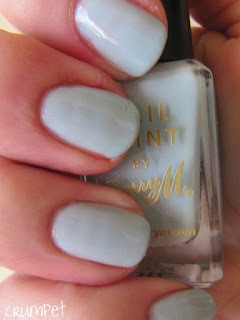 Today sees another post on Barry and his M, and despite not really being a Blue Girl, I cannot fault this polish AT ALL. 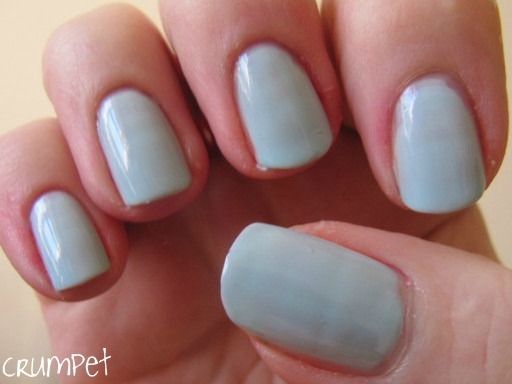 Blue Moon is a gorgeous glossy pale blue with a slight jellyish / squidgy finish. 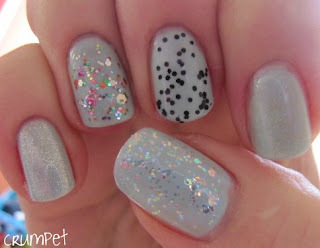 It took 3 coats for perfection – a couple of the nails were a little streaky at just 2 coats. 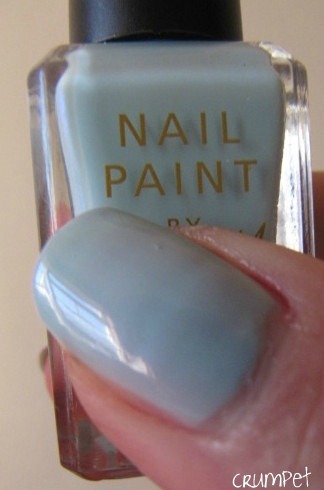 This is a lovely soft pale blue – probably more aqua than pure blue – and has a little bit of a retro vibe to it. There’s a creaminess to it that stops it being too stark. 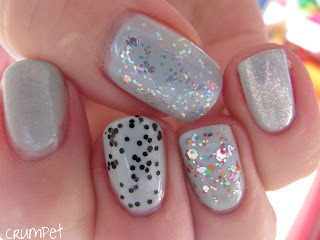 This looks gorgeous on, but sadly, really isn’t a “me” colour. However, this would be a good nail art colour to have – this would be good for gradients, contrasts and backgrounds. 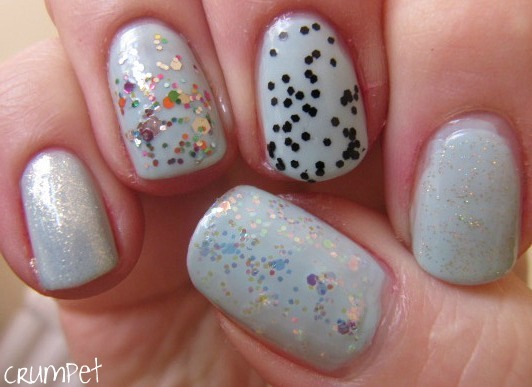 So, how does it look with some pretties on top? Super pretty, right ? I don’t know which is your fave, but I am loving the stark contrast with Tangled In My Web and the frosty perfection of Snow Globe. I really love this colour, and it seems to have quite a following. Everyone who has asked me what Barrys I have available has asked me about this one. Obviously a lot of good taste in the polish universe.